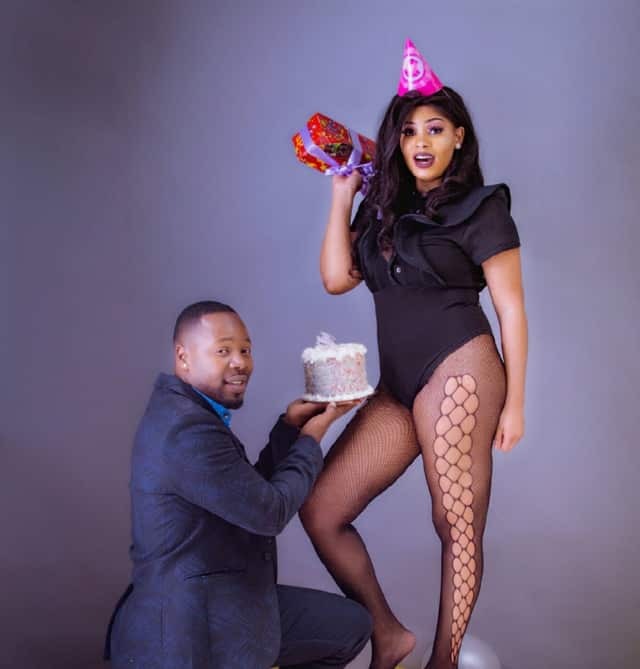 Controversial rapper, Stunner real name Desmond Chideme has threatened to disclose names of men hitting on his wife, Dionne Tafirenyika on social media platforms. The “Godo” hitmaker said he will post screenshots with names of culprits who stalk his wife on social media. “Next time tichangokuchayayi mascreenshots, tetinadzo kunoku hativharirane maphone (next time I will just post screenshots of your messages to my wife, I have access to my wife’s cell phone),” warned the “Team Hombe” hitmaker in an Instagram story post. Meanwhile, late last year Dionne grabbed headlines for reportedly cheating on her husband. Her “ex-friend” only identified as Samantha alleged that Dyonne was seeing former president Robert Mugabe two sons behind Stunner’s back among many other shenanigans.